Headline inflation came in at 2.8% year on year in May, posting a 0.5ppt acceleration compared to the previous month's data. This is the first time since Feb-17, that the headline inflation rate came close to the Hungarian National Bank's (NBH) 3% inflation target. Before this date, we have to go back to 2013 to see higher CPI figures. 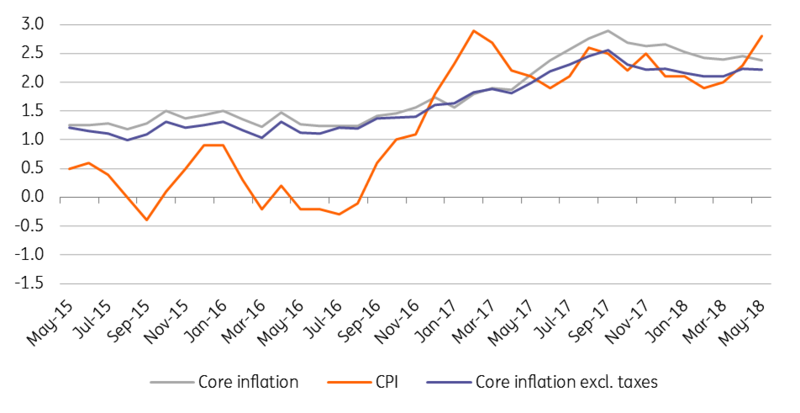 Still, the recent uptick in inflation has been purely due to items outside of the core inflation basket. Core inflation remained unchanged at 2.4% year on year. As such, we think the NBH is unlikely to see the current acceleration as permanent and we don’t expect any change in monetary policy. In line with expectations, the main driver behind the acceleration was the 9.5% YoY increase in fuel prices, up from 2.1% YoY compared to April data. In practice, this alone explains the 0.5ppt acceleration in the headline indicator. 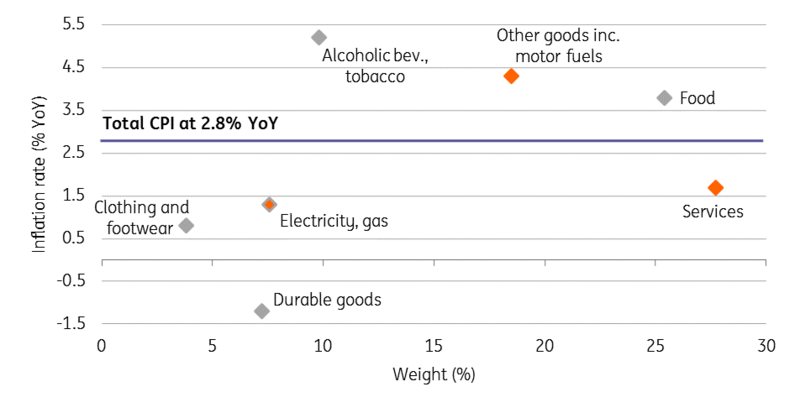 Food, alcoholic beverages and tobacco prices slowed down but have remained above average. In contrast, we saw a further drop in prices of durable goods. Despite the 1.7% YoY inflation in services (an eight-month high) we still can’t consider this a serious price pressure. 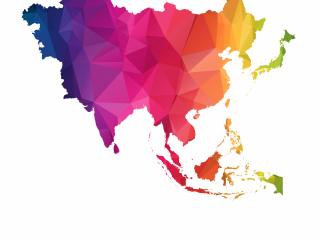 We believe inflation could reach or even overshoot the NBH target in June, though the degree largely depends on global oil prices and weakness in the Hungarian forint. As prices slow, mainly due to base effects in the second half, we see inflation coming in at 2.6% YoY in 2018 as a whole.